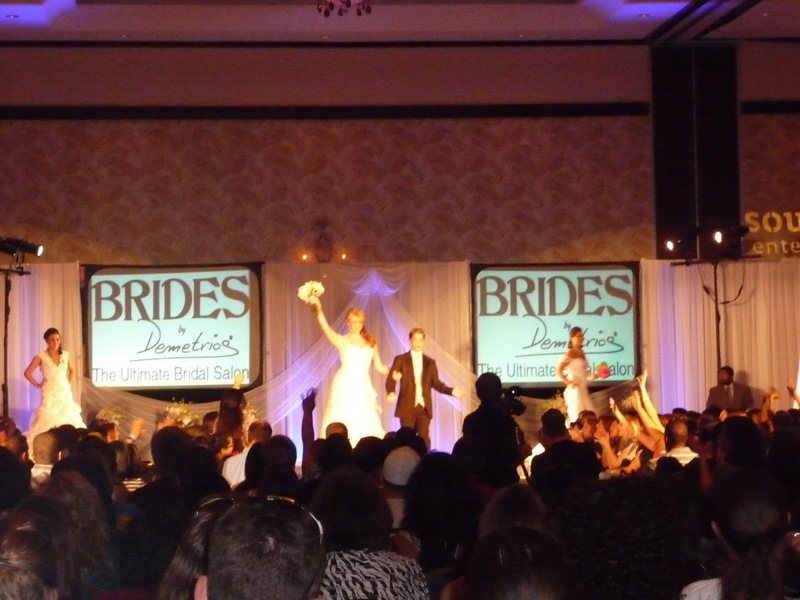 Wedding Show… Yes or No? 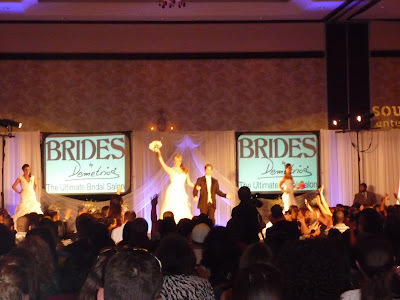 A few Sundays ago, I got to experience my first BIG Bridal Show with my mom! Scott tagged along, but lucky for him he could only stay an hour before he had to be somewhere. So we enter the show, look around, and immediately I get one feeling – OVERWHELMED! So we saw some florists, cake shops, wedding coordinators, jewelry, teeth whitening stations, honeymoon destinations, photobooths, department registries, and MORE! We’ve already gotten a venue, a date set, and a coordinator – so we were looking for anything and everything! All in all, it was a helpful show to go to. If you can be patient through the crowds and the lines, it’s worth going to shows to at least see what vendors are out there and to meet with them in person. From this show alone, we potentially have a photographer as well as a florist, and a photobooth! So, it feels like the 5 hours of craziness was worth it. Don’t enter without your raffle tickets. Go to the booths with the food during the fashion show…the lines die down! Don’t enter your name in EVERYTHING…just what you’re really interested in. I get e-mails upon e-mails and calls upon calls for things I don’t really want to hear about now. Know the process is going to be a little annoying. Knowing this at least you can be prepared, and not be thrown off when you get pushed and shoved! After the show, we were right down the road from the store I got my gown at (Priscilla of Boston), so I took my mom to pop in and see if they had any mother-of-the-bride dresses! She found one, but we’re still looking for the “ONE” for her. It was so nice to spend some quality time with her, doing wedding stuff. I’m looking forward to the next 8 months of planning with her!